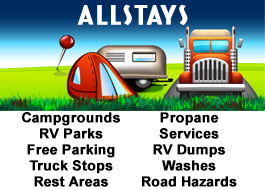 As the anticipation builds for the arrival of my new 13′ Scamp, I have continued to immerse myself in everything related to Scamp, RV travel, and camping. In doing so, I came across the RV/MH Hall of Fame Museum after a Scamp owner suggested the addition of the Scamp to the museum. The museum contains RVs that date back as early as 1913, but I found myself particularly drawn to the the 1937 Hunt House Car. The Hunt House Car was one of several unique early RVs built by Hollywood cinematographer J. Roy Hunt between 1935 and 1945. Hunt began designing house cars after he found himself spending weeks on location shoots. In 1937, he took a Ford truck chassis and incorporated a smooth fuselage body and a streamlined shape. The design was so well received that the Hunt House Car went into limited production, and about 50 of them were produced over the next 10 years. The house car was restored by David Woodworth of Tehachapi, California. According to him, the 19 foot long home-on-wheels weighs about 4,100 pounds and gets 14 to 16 miles per gallon. 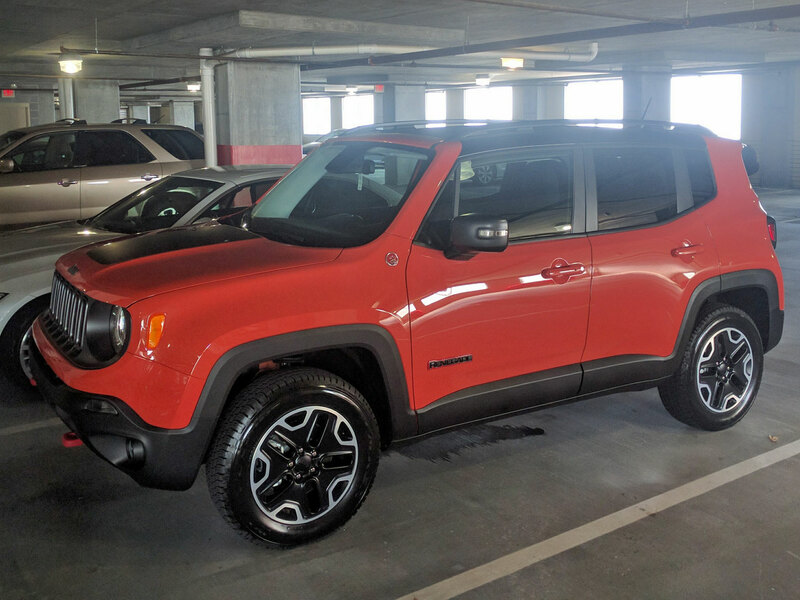 I bite the bullet, paid my my $500 deposit, and order my Scamp last week. 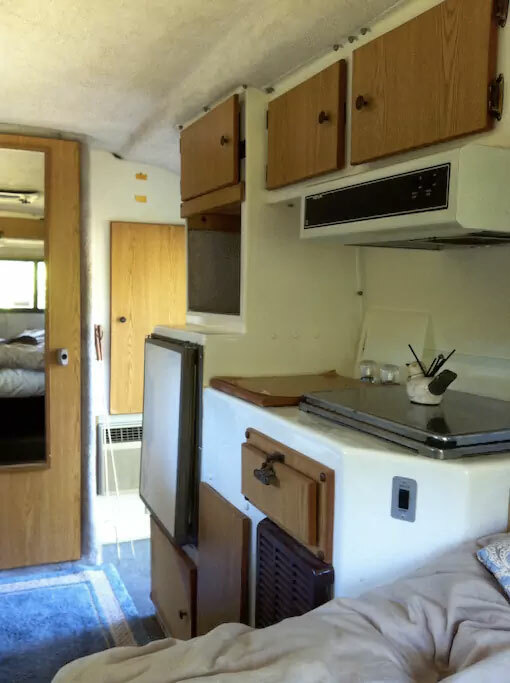 I opted for a 13 footer with shower/toilet, roof mounted AC, roof mounted fan, furnace, vinyl floors, screen door, extra cabinets, stove cover, 12v outlet, and extra lights. Now… the wait begins. 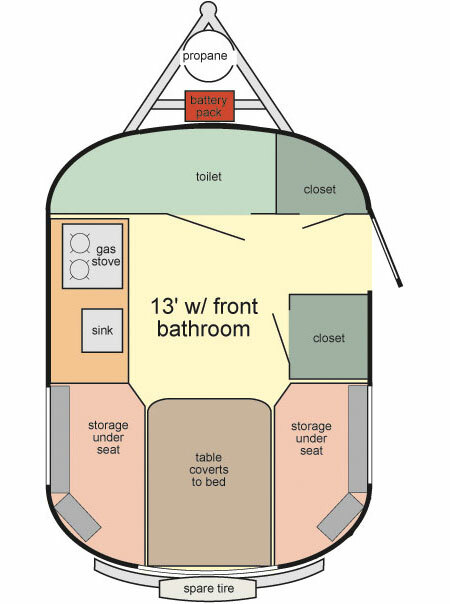 My new micro home on wheels will be ready in mid-January. I decided to take my plan to live in a tiny camper, specifically a 13′ Scamp, to the next level by spending the night in a similar camper. 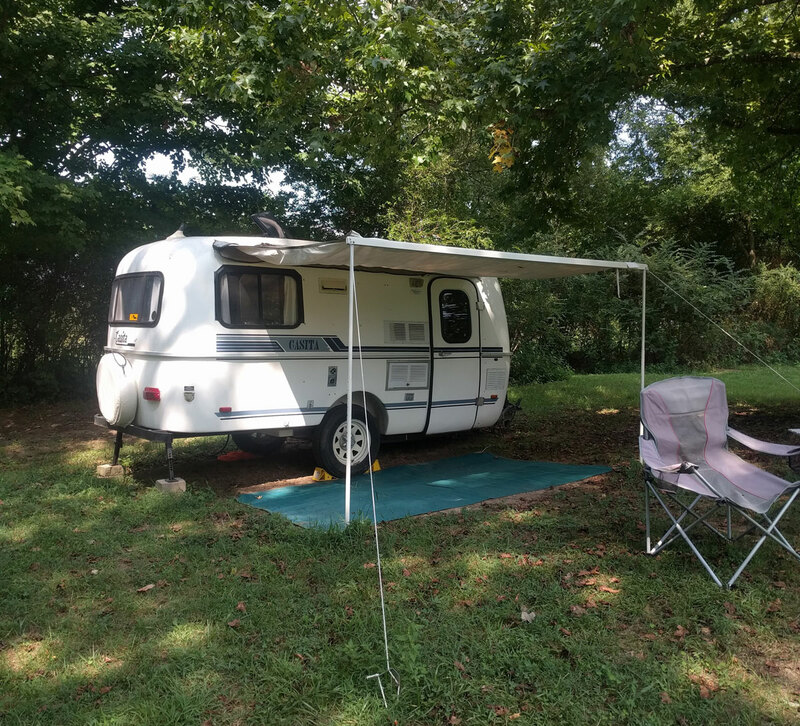 I could not find a Scamp or similar camper near me, so I plotted out an overnight stay in Ooltewah, Tennessee courtesy of Airbnb. I booked the trailer on Friday, then on Saturday afternoon I headed to Ooltewah (about two hours north of Atlanta). Upon arrival, I fell in love with my temporary accommodations. After an orientation from Tara, my host, I took measurements of the size of the mobile abode. It was then that I discovered the travel trailer measurements include the size of the hitch. So… even though the Casita had 13 feet of living space, this was a 16 foot trailer. 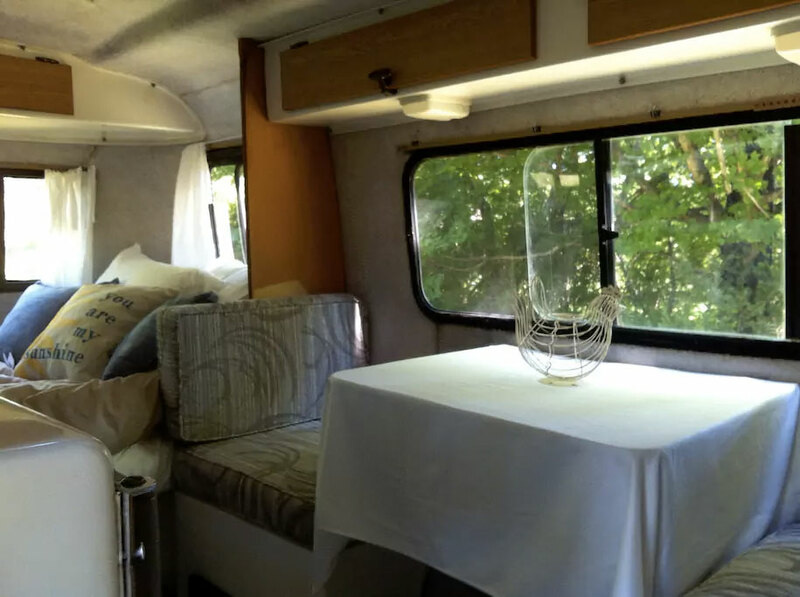 The extra three feet of space meant that the 16′ Casita has three extra feet of storage space, along with the ability to have a dedicated dining area. Looking at the pictures above, the dining table and seats would be replaced with a smaller closet. Additionally, I would lose the closet by the sink and stove. So, essential the layout of my new home would be flipped and minimized. I was very impressed with the amount of air the three-speed overhead fan produced. However, I have zero experience with a camper, so I needed to test out the generator to see if it would allow me to truly live off of the grid (if I decided to go this route). 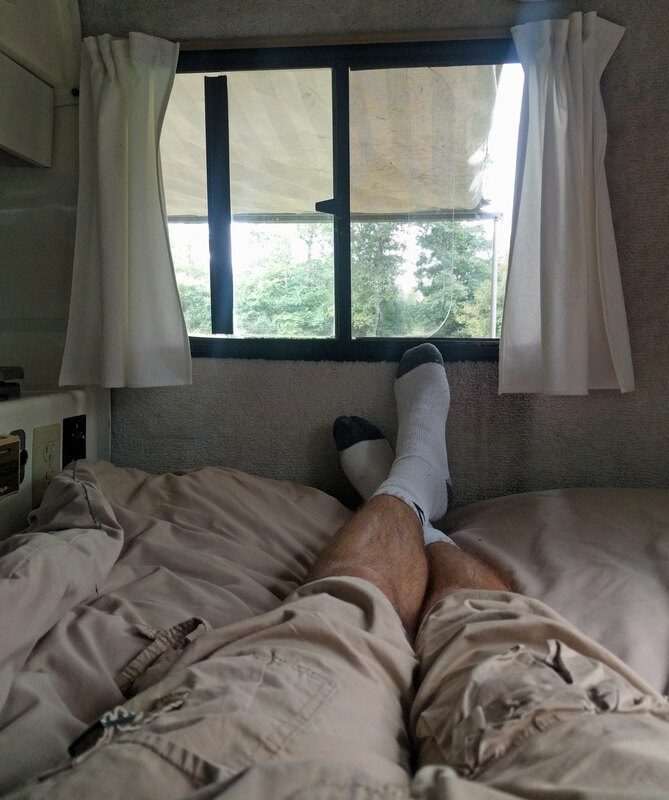 Two pulls later, and I was relaxing with airco… tiny camper living does not necessarily mean roughing it. I had a very restful night, but I was a bit concerned with the size of the combo toilet/shower room. My concerns were unfounded. 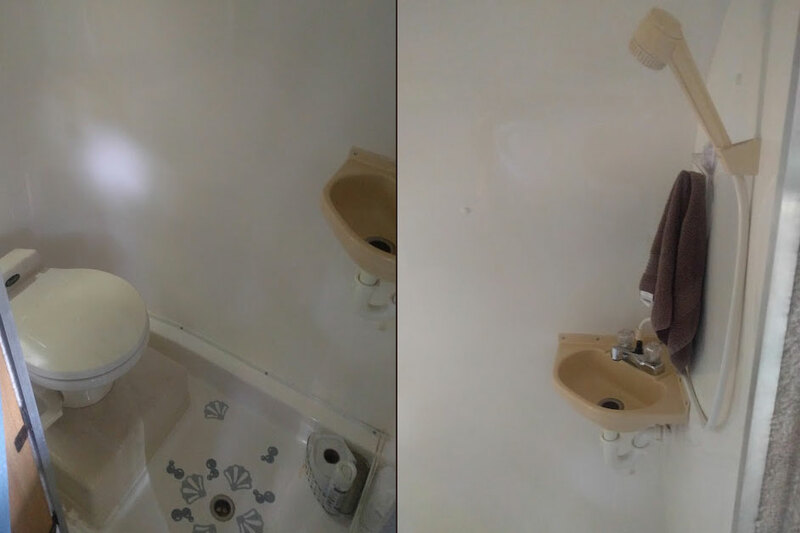 Although the camper does curve in the bath, I still found plenty of room to shower and do my business. In addition to a great night in the Casita, I had the opportunity to watch Mike, my other host, milk a cow and pick his brain on staying in a tiny camper. What’s next? Onward with my tiny camper adventure. 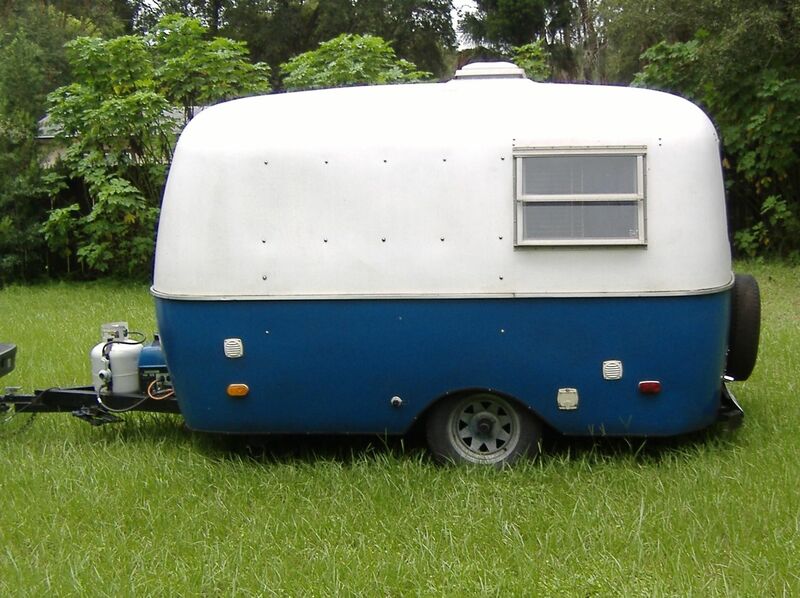 I just picked out the options for my 13′ Scamp. It should be ready in mid-January. 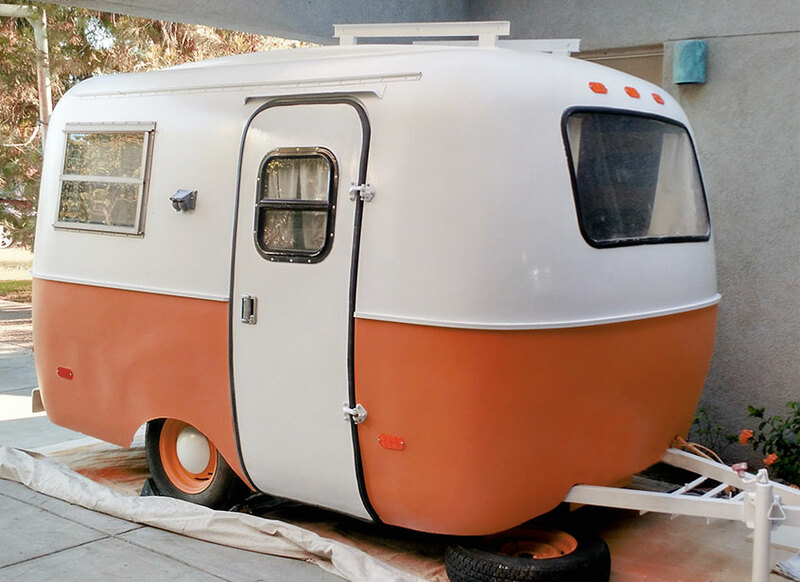 I have been romanticizing the idea of taking a small camper, particularly a 13′ Scamp, across country to view the USA. On Sunday I almost pulled the trigger on an eBay auction for this little beauty. From my research, it seems that Scamp campers have a loyal following and hold their value fairly well. This 36-year old little guy had a starting bid of $5,000, and a buy it now price of $5,500. In the end, I decided to hold off on the purchase. I don’t want to put the cart before the horse… literally.